1. Multi-planar ground contacts strengthen and activate the foot and ankle complex. Overall, the runner who spends the least time on the ground will be the fastest. That is the goal with jump rope exercises for runners. Coaches are often tempted to teach and practice game-specific skills more than general athletic skills, since game-specific skills are the ones that eventually determine which team wins and which loses. Limited training time and people's high expectations of success can also lead to this exaggerated emphasis on developing sport-specific skills. Development of general athletic skills, such as jumping, landing, skipping, lunging, twisting and hopping lay the foundation for game-specific skills and is vital to becoming a healthy and successful athlete. Narrowing the variety of movement skills before the athletic foundation has been laid can risk a child's long-term development and suffocate his or her true potential. Coordination, balance, speed, flexibility, agility, strength and endurance are all important components of human movement and sport performance. The different stages of a child's growth and development determine which motor skills should be emphasized in training programs. For example, speed and agility progress optimally during the "skill hungry" years of 8 to 12, whereas strength and endurance become important in subsequent years. 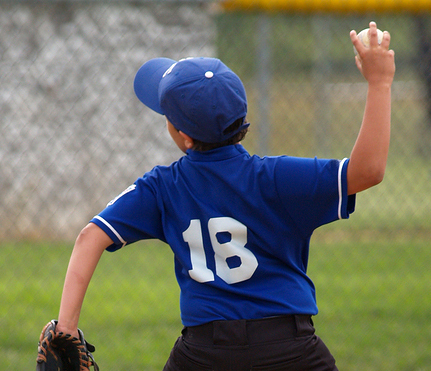 A 10-year-old boy is at his peak period to enhance acceleration speed and change of direction through games like tag or short shuttle runs. Drills that incorporate multidirectional hops on a single leg are well absorbed by children age 8 to 12. You can read the whole Discover Movement Youth Conditioning article here. 1. This article is from from Brian Grasso's (IYCA) blog entry. "Why are high speed running treadmills NOT recommended for training young athletes?" Issue #1 - These players are not skeletally mature to handle the amount of stress placed on their bodies, so they will probably turn up with more overuse injuries in their teen years that have been accumulating due to the high demand from 9-12. Issue #2 - This could be a simple timing of maturation. A lot of the dominant players are taller, weigh more, throw harder and have probably entered certain stages of maturation quicker than their peers. This doesn’t necessarily mean they’ll be ahead of their peers at 13-15 or even 16-18; it just means that at the age (11-12) we happen to televise, they were more developed. There are at least six more years before this player can even think about playing professionally, so a lot of things can happen to level out the playing field. Issue #3 - There’s a good chance the amount of repetition that these players have put in at an early age could lead to “burnout” down the road or a feeling of satisfaction and less of a demand to work hard, because everything came to the player so easily at a young age. This game will eat you up if you don’t continue to get quality repetition over the long haul. New studies are being published on barefoot running. If you have decided to give it a try, proceed with a lot of caution and keep this tips in mind from Daniel E. Lieberman and his team. At Discover Movement we believe that barefoot training is very beneficial. However, we are hesitant to recommend "long-distance" barefoot running to our athletes due to potential risks involved. Read for yourself what the very latest studies suggest. Build up slowly! 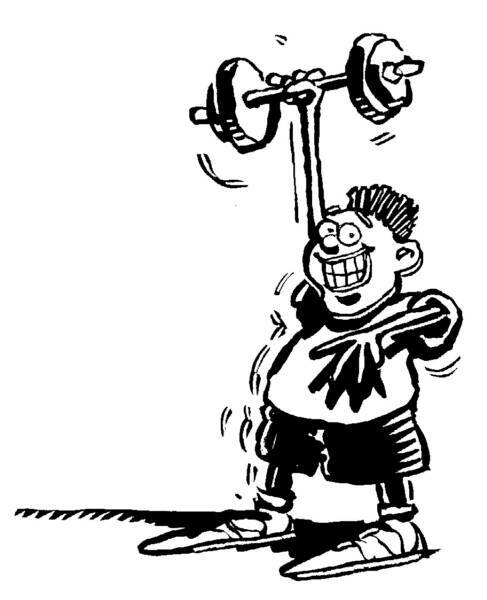 If you vigorously work out any weak muscles in your body, they will be sore and stiff. Your foot and calf muscles will be no exception. So please, don’t overdo it because you will probably injure yourself if you do too much too soon. Start by walking around barefoot frequently. First week: no more than a quarter mile to one mile every other day. Increase your distance by no more than 10% per week. This is not a hard and fast rule, but a general guide. If your muscles remain sore, do not increase your training. Take an extra day off or maintain your distance for another week. Stop and let your body heal if you experience pain. Sore, tired muscles are normal, but bone, joint, or soft-tissue pain is a signal of injury. Be patient and build gradually. It takes months to make the transition. If you are currently running a lot, you don’t need to drastically reduce your mileage. Instead, supplement forefoot or midfoot striking with running the way that you normally ran before beginning the transition. Over the course of several months, gradually increase the proportion of forefoot or midfoot striking and reduce the proportion of running in your old style. Use the same 10% per week guideline in increasing the amount of running you do forefoot striking. It is essential to stretch your calves and hamstrings carefully and regularly as you make the transition. Massage your calf muscles and arches frequently to break down scar tissue. This will help your muscles to heal and get stronger. Listen to your feet. Stop if your arches are hurting, if the top of your foot is hurting, or if anything else hurts! Sometimes arch and foot pain occurs from landing with your feet too far forward relative to your hips and having to point your toes too much. It can also occur from landing with too rigid a foot and not letting your heel drop gently. Many people who run very slowly find that forefoot striking actually makes them run a little faster. Check out the blog called http://bodydynamix.wordpress.com/ for excellent information about the the "core" of the shoulder and also to view first phases of this sequence. This video shows an example of a follow up and a training progression to the shoulder and scapula sequence for healthy athletes with pain-free shoulders. Get your inspiration from the jungle! Animal moves -dynamic warm-up should be done barefoot in order to activate and strengthen small muscles of the foot. It develops shoulder and core stability, dynamic flexibility and body awareness. Be an animal! - Educates sport and fitness professionals on applied biomechanics, exercise physiology, movement pattern development and functional training modalities. - Utilizes different forms of multi-media and computer technology to teach and interact with the student. For example in 2009, created total of 28 weeks of online educational modules to 300 participants including physical therapists, fitness professionals, physicians and sport coaches. - Develops evidence-based practical applications and tools for physical educators, sport coaches and exercise professionals. 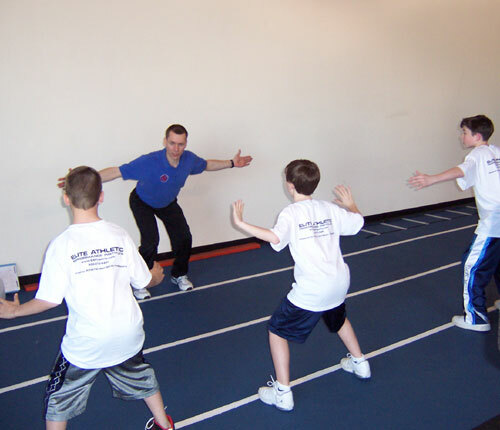 - Created “Movement Skill Development for Young Athletes”, a program that is being used by over 1000 youth sport coaches. - Publishes articles regularly and participates in academic discussion in regards to human movement.